The Bible tells us that the Day of the Lord will be “as in the days of Noah and Lot.” What can this description teach us about the upcoming period of God’s wrath and destruction? The most important take-home point is that God spared Noah from the entirety of His judgment – Noah didn’t even feel a single drop, much less have to tread water. He was safely sealed in the chambers of the ark, by God Himself. We have already examined what “as in the days of Lot” means here – As In the Days of Lot. Now let’s examine the “days of Noah” more carefully! Genesis chapter 6 introduces us to the “sons of God”, who took human wives and produced children by them. I understand that the idea of supernatural beings “taking” women is disturbing. However, I see no indication not to take this literally. This unholy union produced the Nephilim – the giants and the “mighty men”, likely the fodder for the Roman and Greek “gods”. These “sons of God” who “did not stay within their own position of authority, but left their proper dwelling, he has kept in eternal chains under gloomy darkness until the judgment of the great day— just as Sodom and Gomorrah and the surrounding cities, which likewise indulged in sexual immorality and pursued unnatural desire, serve as an example by undergoing a punishment of eternal fire.” (Jude 1:6-7 ESV). These are kept in judgment until the “great day” – the Day of the Lord. We will revisit this later. God decided to execute judgment upon the earth 120 years before He carried it out. This records His decision and how long He would patiently wait until its’ fulfillment, perhaps giving people an opportunity to repent. The human lifespan greatly decreased after the global flood, from 900+ years to around 120 years and finally to stabilizing around 70-80 years. This statement perhaps relates to our decreased lifespan post-flood. God has allowed 120 “Jubilees” of years for humanity to rule before they shall be judged. A Jubilee is 50 years; thus, 120 “Jubilees” would refer to 6000 years of human rule before Jesus’ Kingdom Rule. This is discussed more here: God’s Prophetic Timeline – 7000 Years of Humanity. It’s plausible that all these possibilities can be correct. The Days of Noah were marked by wickedness and evil thoughts. The word for wickedness used is raat, which can be defined as adversity; evil; malignant; disagreeable; unpleasant; giving pain, unhappiness, misery; vicious; ethically bad. And here we see how grieved God is by it. Human sin causes pain in the heart of God. Human righteousness finds favor in the eyes of the Lord. In the days of Noah, as in the days of Lot, there was only ONE man found righteous in all the earth. While righteousness and blamelessness refers to walking with God, in context it also likely means that Noah’s DNA was uncorrupted. The word used for blameless here is tamim, which means complete, sound, without defect, unblemished. Unlike Noah, the rest of the earth was corrupt and filled with violence. Note that “ALL FLESH”, not just humanity, had corrupted their ways. This term can apply only to humans as well, but I personally wonder if this includes some of what we consider “dinosaurs”. The word for corrupted used here is shachath, meaning destroyed, gone to ruin, blemished, polluted, spoiled. Others have pointed out that the word for violence here is hamas, which simply means violence (but the name is interesting…). Make yourself an ark of gopher wood. Make rooms in the ark, and cover it inside and out with pitch. This is how you are to make it: the length of the ark 300 cubits, its breadth 50 cubits, and its height 30 cubits. Make a roof for the ark, and finish it to a cubit above, and set the door of the ark in its side. Make it with lower, second, and third decks. God provides a safe harbor for Noah and his family to take refuge in during the time of judgment. In the times of Noah, this had to be on earth for the bloodline of the Messiah to be preserved. Do you understand that God’s global judgment through the flood was done out of mercy and compassion for humanity? Without it, no flesh would have been untainted and thus Jesus could not have come into the world to save sinners. For God to provide salvation, He had to bring judgment. Who is spared? Those who are righteous before God. These are the ones who escape the waters of the flood. Note how Noah did all that the Lord commanded him – the righteous shall live by faith, which is demonstrated by their actions. 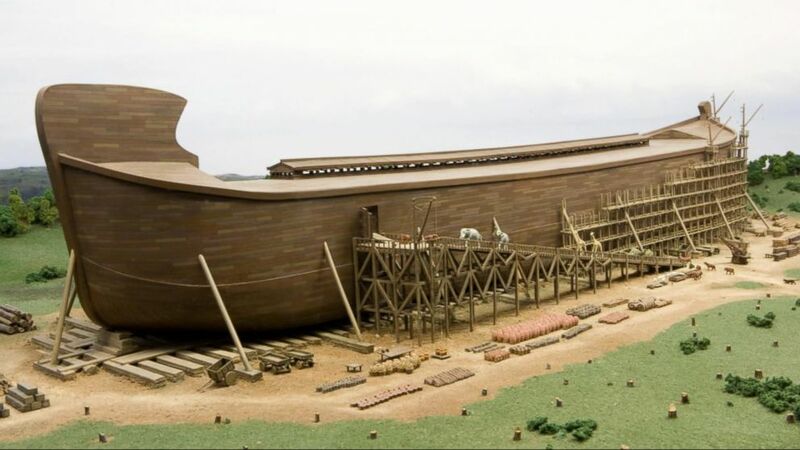 Building an ark would have taken decades of dedicated work, requiring all Noah’s spare time and resources. True discipleship will cost. Sometimes a lot! God Himself seals Noah and his family in the ark. I’m not sure if Noah first started loading the ark seven days before the floodwaters came upon the earth and then was sealed inside the day the flood started, or if he was sealed inside 7 days before the flood began. If you reread the passages above you will see it can go either way. The floodwaters come on the 17th day of Iyar, which doesn’t correspond to any of the Biblical feast days (in case you were wondering). The floodwaters continue as promised and drown every living thing that was on the face of the earth. The flood was literal, the flood was global. God remembers His covenant with Noah. God is always faithful to remember His covenants! The ark comes to rest on Ararat in the 7th month (Tishrei) on the 17th day. This falls in the middle of the feast of Tabernacles, but I don’t see that as significant. Noah remains sealed in the ark for a number of months yet. The ground is dry on Nisan 1, but still Noah and his family remain sealed in the boat for another 57 days. God Himself unseals them on Iyar 27 (also not a feast date). I want you to pay attention to the sealing, and the fact that it is God who does the sealing and the unsealing in the ark. This sealing theme is an important one and I discuss it more here: Seals, Sealing, and the Ministry of the Holy Spirit. The only significance I see with the number 57 days is that it was 57 days between Jesus presenting Himself as King of the Jews on Palm Sunday and Pentecost that year. I don’t see any hidden meaning to this, it’s just an association I found. God establishes his covenant with every living creature on earth, that He will never again destroy the whole world by water. In our previous discussion of the Days of Lot, we mentioned how satan has taken this beautiful symbol of God’s faithfulness – the rainbow – and turned it into a symbol of corruption and pride. The next time God destroys the world, it will be by fire. Angelic creatures crossing appointed boundaries and interacting with humanity in inappropriate ways. Here is where we re-examine that passage in the book of Jude. These “sons of God” who “did not stay within their own position of authority, but left their proper dwelling, he has kept in eternal chains under gloomy darkness until the judgment of the great day— just as Sodom and Gomorrah and the surrounding cities, which likewise indulged in sexual immorality and pursued unnatural desire, serve as an example by undergoing a punishment of eternal fire.” (Jude 1:6-7 ESV). These are kept in judgment until the “great day” – the Day of the Lord. Will the tribulation period be marked by a return of the Nephilim? Will angelic creatures again cross appointed boundaries and interact with humanity? I personally believe that the veil between the supernatural and natural will be lifted at the time of the rapture and that fallen angels will feature heavily in satan’s great deception. We will spend some time talking about God remembering His covenants and sealing the righteous in their chambers, and then the judgment and sudden destruction. God will remember His covenant with Noah, and the flood will come by fire not by water. He will also remember His New Covenant and bring salvation to His people before He pours out His wrath. Interestingly, Noah knew the flood was coming, perhaps up to 120 years in advance, but he didn’t know the day/hour until 7 days prior. At this time I believe He will also re-confirm His Abrahamic Covenant with Israel and bring about the restoration of His chosen people and nation. More discussion on God’s covenants is here: The Covenant With Israel – Who Confirms It? We learn that people would be going about normal, everyday activities (eating, drinking, marrying). Noah entered his chambers (the ark), and then God’s wrath rains down on those not in the ark and sweeps them away. Those upon whom God’s judgment falls will be surprised not because they couldn’t have known, but because they refused to listen and have faith in the warnings God issued. This will play out again in the end times. God has been issuing forth many warnings that the end is near; is anybody listening? Sign, Sign, Everywhere a Sign – The Convergence is Now. Wait A Minute… Rapture or Second Coming? It is sometimes taught that Enoch, who was clearly raptured hundreds of years prior to the flood, represents the church. Noah is then suggested to represent the nation of Israel – the remnant that God will seal and protect during the tumultuous judgment period commonly called the “tribulation”. Lot isn’t talked about as much, but he clearly is taken “away from the time and place” of God’s judgment before it can begin. I believe the fact that Jesus groups the days of Noah and Lot together is telling. I personally believe that all 3 of these examples point to the rapture of the church, and not to Israel at all. Jesus referring to the appearing of the “Son of Man” being as in the days of Noah must clearly refer to the rapture. I believe this, because the rapture springs upon the earth as a surprise. The second coming does not. Humanity will be greatly anticipating the coming of Christ – unbelievers preparing for battle against Him, believers desperately hanging on (and counting down) for Him. The Son of Man will be revealed at the BEGINNING of the Day of the Lord, like a slain Lamb coming to rescue His people. The people on earth know nothing about what is going to happen – they will be continuing on with life as normal – until WHAM the Day of the Lord will start when the Son of Man appears at the rapture. Noah and Lot were pulled out of the path of destruction, and the end to the rest comes on “like a flood” – severe and sudden (Daniel 9:26). The passages above emphasize the unexpected nature of the beginning of the Day of the Lord. Elsewhere it is referred to as a “trap” and “birth pains” – both of which have no escape. This stands in stark contrast to the End of the Day of the Lord when the Son of Man returns appearing as a warrior-King. At the battle of Armageddon (the END of the Day of the Lord), life will not have been continuing on as usual. The “flood” will be almost over – well over half the human population will have died by that point. Everyone will know about what has been happening on the earth. It won’t be a surprise that Jesus is coming, because people have gathered deliberately in expectation to fight Him. The body of Christ includes all believers, there is no longer a distinction between Jew and Gentile (Ephesians 2:11-22). Enoch represents the rapture of the body of Christ. Unbelieving Israel is not included. Lot and Noah are the single righteous men that are removed from the path of judgment before it can begin. All righteous believers will be removed from the path of judgment before it begins in the Day of the Lord. Again, this is the body of Christ and does not include unbelieving Israel. Unbelieving Israel will go through the Time of Jacob’s Trouble. They will not be spared. If Israel isn’t represented by Enoch, Noah, or Lot, who is she represented by? I believe that Israel is the woman in labor. 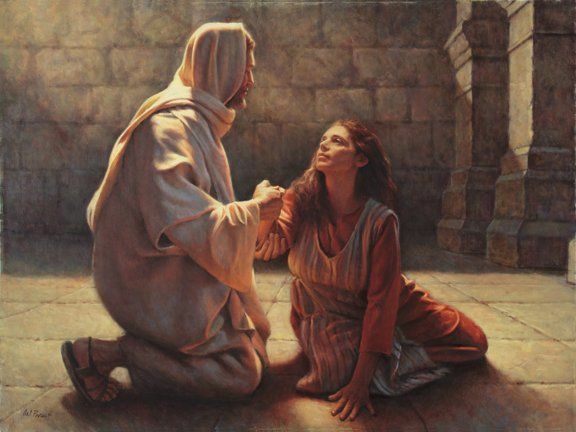 She must go through the tribulation and birth pains in order to be delivered. Now, God does have some special plans in place for the remnant of Israel that comes to faith in Jesus Christ as Messiah after the rapture. The Firstfruits – those of Israel who come to faith shortly after the rapture of the church. These are the 144,000, who are specifically sealed by God and protected from the effects of Trumpet 5’s judgment. Whether they are protected from more we are not told. More on these here: Who are the 144,000? The Day of the Lord is about wrath, yes, but it is also about restoration. All the righteous (those who are “born again”, saved by grace through faith in Jesus Christ) will be rescued. There is no “partial rapture”. Even if we don’t believe the wrath is coming, we will be rescued and sealed in our “chambers” during the time of wrath. On the other hand, those who go by the name “Christian”, but whose hearts are firmly rooted in the world, should not expect to be rescued. We can expect to see a rise in sexual immorality, violence, corruption, and wickedness as the coming of the Son of Man draws near. God will issue warnings and signs that the time of His return is near. Life will be “as usual” when the rescue takes place and the wrath begins, catching unbelievers unaware. Jesus’ comparison of His appearing “as to the days of Noah” confirms that He will rescue His righteous saints prior to pouring out His wrath. This is what is commonly taught as the pre-tribulation rapture of the church. Noah didn’t have to swim for any portion of the flood. Fascinatingly, three full-scale replicas of Noah’s Ark have opened in the last few years – in the Netherlands (2012), Hong Kong (2012), and USA (2016). Please know that I am not disputing or arguing with what you have said, but I do have one question. Do you not believe that any Gentiles will be saved during the tribulation, and if not, what scripture do you base that on? I believe many gentiles will come to Christ after the rapture! In Revelation 12:17 we find that after the woman (the believing remnant of Israel) flees to the wilderness to be sheltered by God for the 1260 days of Antichrist beast rule, the dragon pursues the rest of her children. These are those who hold to the testimony of Jesus Christ – gentiles. It could I suppose include Jews outside of the region as well who were not able to locally flee. I have an article on the woman fleeing (the woman flees to the wilderness), but I suppose I need one for the gentiles who remain. I have a whole left behind section dedicated to them. As well they will make up the bulk of the tribulation martyrs (martyrs under the altar, martyrs beside the crystal sea article). Do you believe the saints dressed in white robes who came out of “great tribulation” in Rev 7 are Tribulation Saints who came to believe in Jesus AFTER the rapture, or do you believe they represent only the 1 Thess 4 raptured Saints? I believe they are the resurrected dead in Christ and raptured alive in Christ – the main harvest of the living and dead in Christ. Billions of people (including all the dead babies and children).